The set is comprised of a sturdy chest with eight pull drawers. (This is very high quality, and could easily be used as a keepsake / accessory box after the products have been used) Each draw has a sweet Christmas themed word printed on the front in silver, and opens to reveal a luxury Ghost gift wrapped in tissue paper. Impressively, this beauty collection features a full-size 30ml Ghost Deep Night EDT fragrance as its stand out gift. If you’re not familiar with Ghost Deep Night, it’s an intense, seductive and sensual oriental scent, opening with notes of Night Blooming Cereus and exotic Indian Rose, leading to a fruity heart of sweet Apricot and Peach, with warming notes of White Wood, creamy Vanilla and Musk rounding the scent off at the base. This is a gorgeous fragrance that I think has a mass appeal to pretty much all ages. Top Notes: Night Blooming Cereus and Rose. Heart Notes: Apricot, Peach and White Wood. 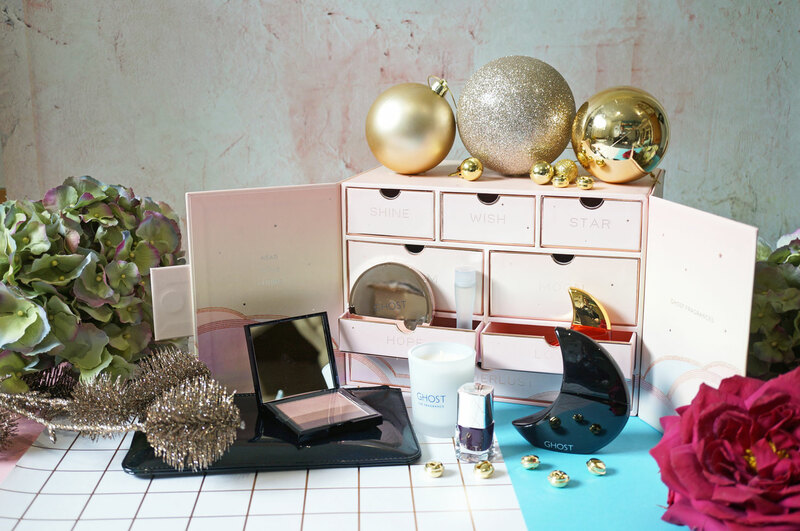 The set also includes three deluxe miniature scents, a limited edition iridescent black cosmetic bag, a Deep Night themed eyeshadow palette, a Deep Night purple nail polish and a handy compact mirror, as well as a Ghost the Fragrance mini candle, perfect for giving your home a warm, relaxed feel thanks to its calming floral notes of Lily, White Rose, Indian Ambrette and Vanilla Orchid. 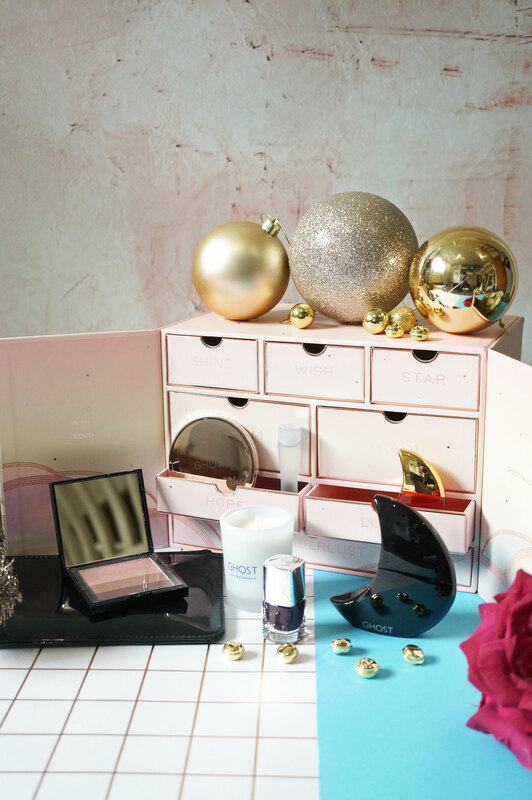 What a fab little gift set! I’m really impressed with it, and for the price, I really think this is great value for money – especially when you consider the Ghost Deep Night EDT 30ml on it’s own is worth £25.00. This is just perfect for fans of Ghost fragrances, and I think any beauty lover would be happy to open this on Christmas day. 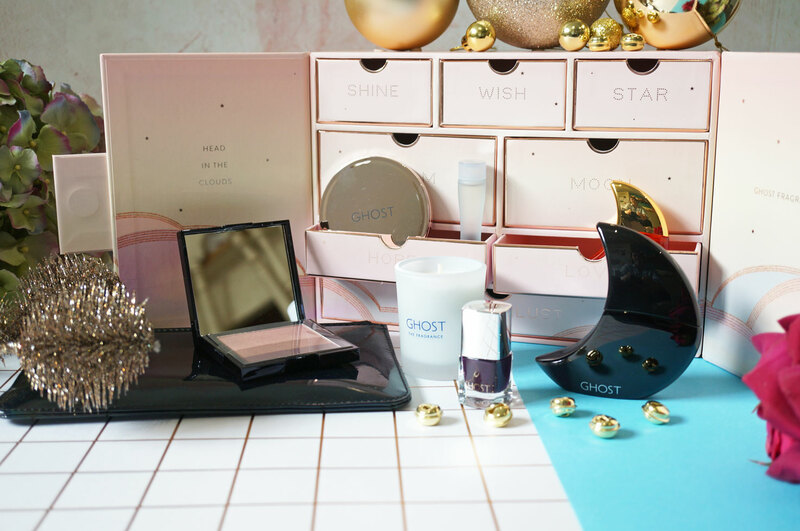 The Ghost Fragrance Beauty Box Gift Set is £45.00 and available now at Superdrug. 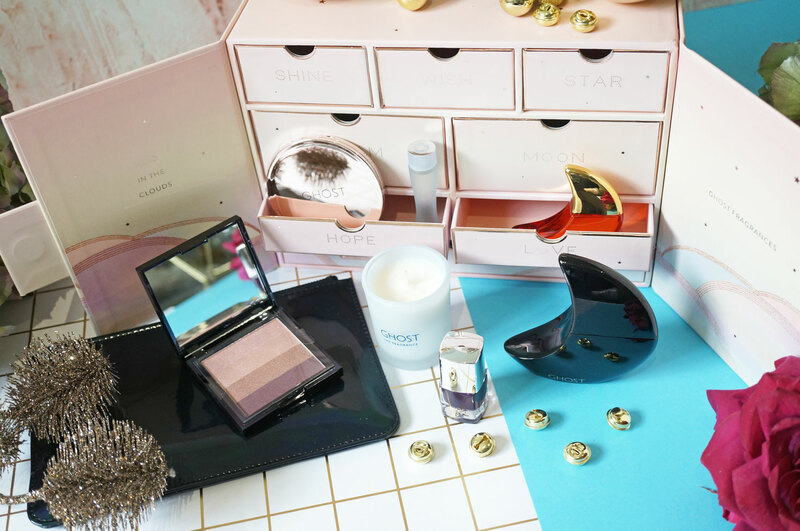 Next Post The Best Black Friday Fashion & Beauty Deals!